Administrator Help > Coveo .NET Front-End 12.0 > .NET Interface Editor > Search Interface Tab > Fields Menu > What Are Search Fields? 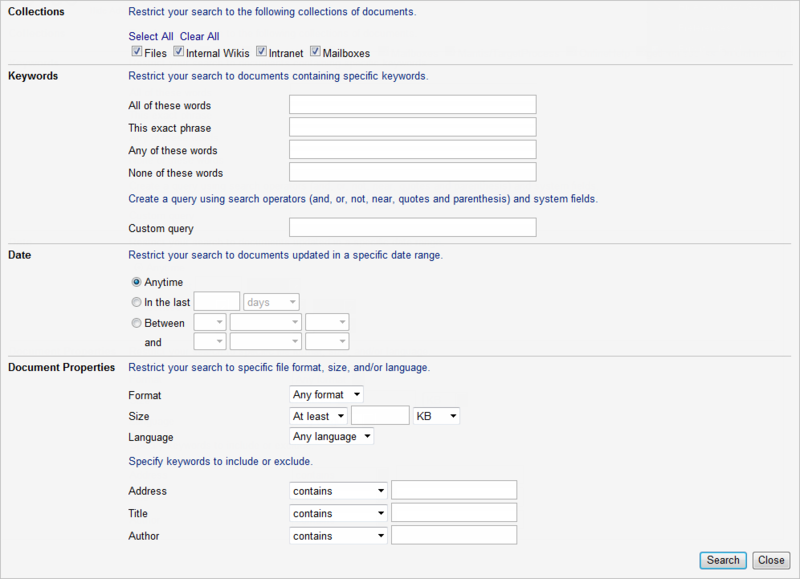 Search fields are fields that are available in the Advanced Search page of the default web .NET search interface. The Advanced Search page provides an easier interface to help users build more complex queries without having to enter operators or field queries in the search box (see Using the Advanced Search Page in .NET Search Interfaces). With the .NET Interface Editor, you can add other search fields that will automatically appear at the end of the Document Properties section (see Adding Search Fields With the .NET Interface Editor). 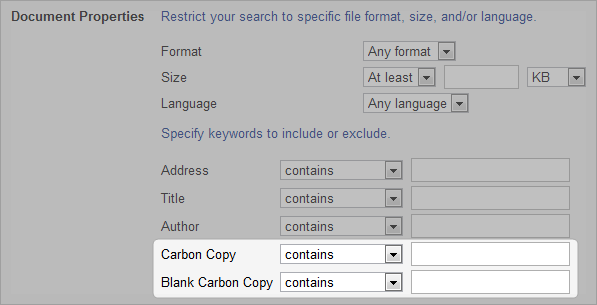 Example: In the My Email .NET search interface, you can add the syscc and sysbcc fields to allow users to respectively specify Carbon Copy and Blank Carbon Copy email recipients in their advanced search.